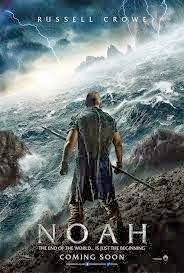 I read several articles and reviews of the Hollywood biblical epic, Noah! Some have critiqued the movie sharply due to the unbiblical depiction of Noah's character. One writer does not even recommend the movie due to its alleged endorsement of evolution. One review writes, "It's difficult to see Noah in the movie." Given the fact that Hollywood produced the movie and the director is an atheist there is no reason to believe that it would be purely biblical. We do not know the motive and agenda behind the movie. I know some conservative Christians do not want to see the movie. If you know the Word of God, there is no reason to be scared about the extrabiblical scenes in the movie. Of course, others will say, "Why waste my money to see the film"? Why the fuss? We watch lots of movies produced by non-Christians anyway. We'll I seldom do, but the point is, why shun "Noah" while watch other film produced by Hollywood or non-Christians. Unless, you only watch Christian movies, then that is different altogether. Malaysia, Indonesia and other Muslim nations have banned the movie. Conservative Christians do not want to waste their money to see the movie. Here is an image shared by many on Facebook comparing the the Biblical Noah with the Hollywood movie, Noah! Personally, I would like to see the movie as soon as it's available on DVD. 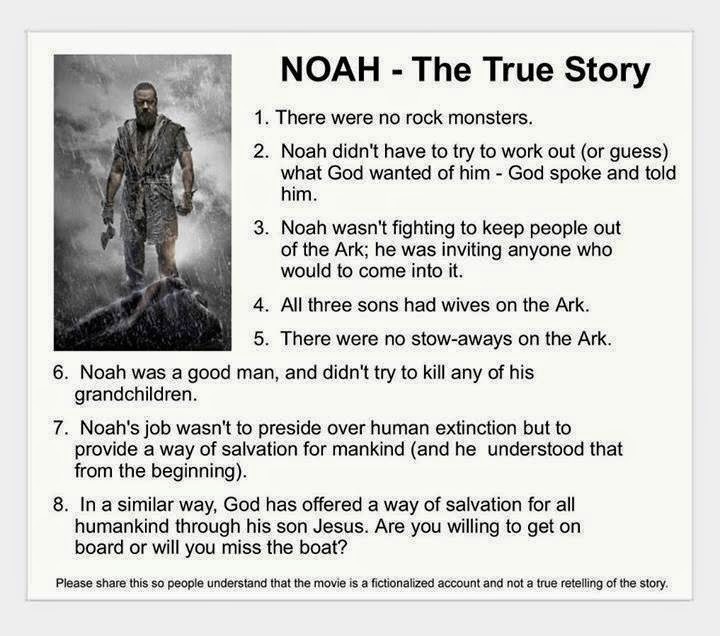 I know my Bible enough not to be disturbed by the unbiblical and visual depiction of the true Noah in the movie. Even if the movie seems to endorse evolution and shows other extra-biblical scenes and characters, I think it would be interesting movie to see.